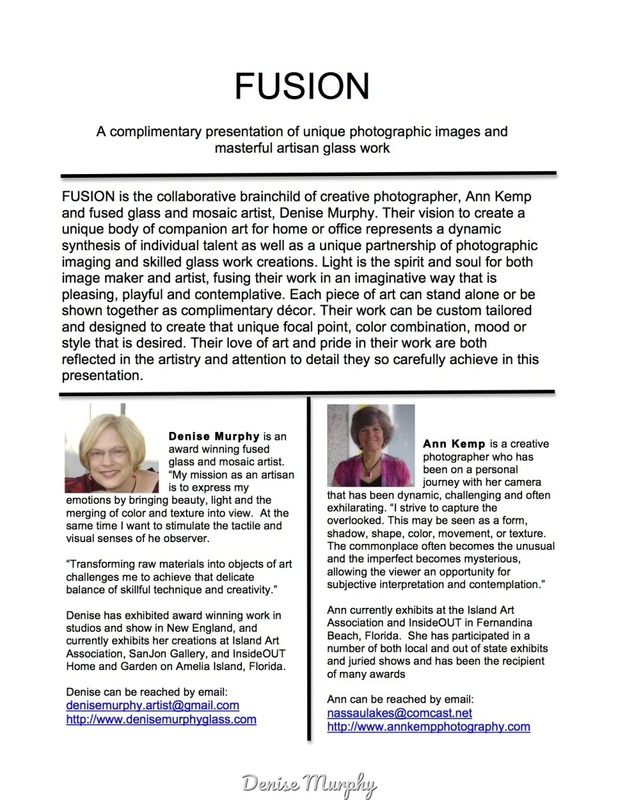 Fusion is a collaborative presentation of creative photographic images by Ann Kemp and masterful artisan glasswork by Denise Murphy. Fusion is a unique body of companion artwork that presents the same subject through different media and different perspectives. These companion pieces have been successfully shown in several galleries and featured artist shows.